Good Morning Lawrence City Council This is your Wake Up Call! 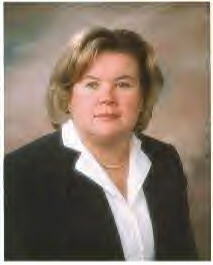 Lawrence Mayor Patty Dowling has admitted that she does not read city contracts. She said that she does not sign the contracts but has someone (she doesn’t know who) rubber stamps the contracts for approval. When the Mayor was asked by Lawyers for Mae Gaskins why the city attorney signed and approved the consultant contracts which she (the mayor) was questioning as improper, her answer was this “ The city attorney approves those contracts as to form, not content.” What that means is that the city attorneys, according to their boss the mayor, do not read what the contracts say, they just make sure all the signatures are in the right place, and someone dates them properly. Is this any way to run a city? Is it any way to spend your money? Good morning members of the Lawrence City Council, this is your wake up call! Consider yourself put on notice. After all, the very same Mayor Dowling who is admitting to improper spending practices in contractual agreements with the school system, is the same Mayor Dowling who submits budgets and spending appropriations to the council for your approval. Which means, if the council approves them she is no longer responsible for what is contained in those consultant contracts, the council is. How worried do you think that makes them? Plenty! Devers, the first Hispanic to serve as a city wide Councilor-At-Large, said he, as well as other councilors, are watching the school situation with great interest. “I am not taking any sides,” Devers said, “ but I am very concerned about the way the city is being run and how we are spending money. My intention is to make sure I represent the people who put me here, not politicians. This is the people’s money. The people will have answers.” Marcos Devers, music to my ears! Devers said other councilors have called for copies of the city contracts to make sure there are no abuses. But the councilors have yet to obtain copies of those city contracts, even though the freedom of information act demands such documents be turned over within 30 calendar days. The person who is spearheading the effort to review all city contracts is District “B” City Councilor Julia Silverio. In her first month on the council she had the courage to stand up, challenge the administration, and take responsibility as a public servant. District “A” City Councilor Pat Blanchette echoed Devers concern about contracts on the city side, he is calling for a management audit of all city departments. According to the city charter, the city council must order a management audit every eight years. A management audit is to be conducted by the council (not the Mayor) which consists of performance evaluations, checks on duplication of services, and checking the inner workings, efficiency, and accountability of every city department. It’s called checks and balances. But this has never been done in the 14 years of this charter’s existence. And he should take it seriously. With the city comptroller resigning (oh, sorry, retiring) the Mayor under fire for hiring campaign contributors, the department of Revenue conducting audits of their own, an acting receiver appointed by the state department of education, and the rest of the commonwealth watching our every move, any councilor would be foolish not to take it seriously when a chief executive states publicly that she has no idea what she is doing. The housing authority, community development, police, fire, DPW, finance, assessors, every department in the city needs a major overhaul. Not just a financial audit to see where the money is, but we need to know who the RRC consultants are and why Billy and Sullivan consultants are preparing our budgets. We need to purge community development of the millions in lawyers we pay them when we have city attorneys on the payroll. And there is no better time to start than right now! Patty Dowling wants to set a standard with Mae Gaskins? She wants to create a set of guidelines for spending and consultants? Then let’s do it across the boar and hold everyone, including her, to the same standard she wants to hold Mae Gaskins to. When we hired Patty Dowling she told us there was a better way. But a better way for who? Lawyers and consultants? Campaign contributors and relatives? Who has seen the better way since Mary Claire Kennedy was thrown out of office for her witch hunt against Jim Scully? It never ceases to amaze me when intelligent people fail to learn from history or other people’s mistakes. And I will admit to you that Mary Claire Kennedy was right about one thing. I remember her ads against Dowling in the local paper in 1997. They pictured vultures drooling over the city with a caption reading, “Don’t let the out of town lawyers and consultants get a hold of your money!” As much as it pains me to admit it, (you have no idea how much) I would be doing you all a grave disservice if I did not say here in my column that Mary Claire Kennedy was right. This mayor doesn’t follow the laws, the charter, court orders, municipal policies, ordinances, she didn’t even know how many contracts Dr. Stafford was working under, and she signed the contracts! The amount of money being sucked out of Lawrence under this administration is staggering. Our city budget is over 158 million dollars every year. Drive around the city, where is it? Can you find 158 million dollars worth of improvements? Over the last three budgets that’s 474 million dollars pumped into Lawrence and I promise you it isn’t going to Lawrence people. Yes, the new council is getting their wake up call bright and early. It’s time they got up, rolled up their sleeves, and went to work. Mike Sweeney and Ralph Carrero have had the courage to do it on the school side. The council looks like they are ready to do it on the city side, now all we need is a new mayor.